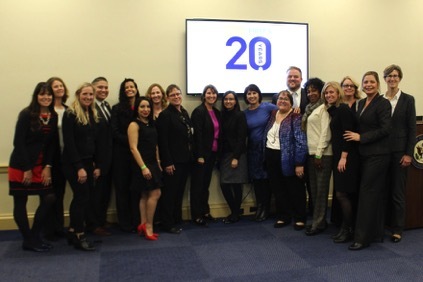 First 5s in D.C.: More than 20 First 5 representatives went to Washington, D.C. in November to educate partners and representatives about the important role of First 5 in system building, advocate for federal protections for vulnerable populations, and celebrate our 20th Anniversary. The trip included 39 legislative visits with members of Congress and their staff and a legislative reception on Capitol Hill. The reception included remarks from Representatives Lou Correa (former First 5 Orange Commissioner), Jimmy Gomez and Judy Chu. 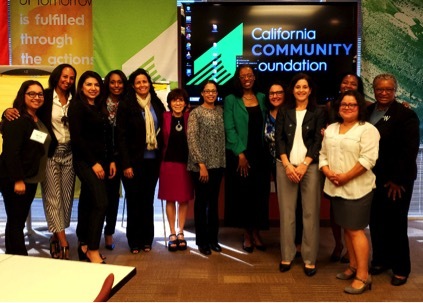 The trip also included a presentation of the California Strong Start Index (CASSi) and a discussion about children's data with our national partners and organizations, including the U.S. Department of Education, First Focus, CLASP, Zero to Three, and others. 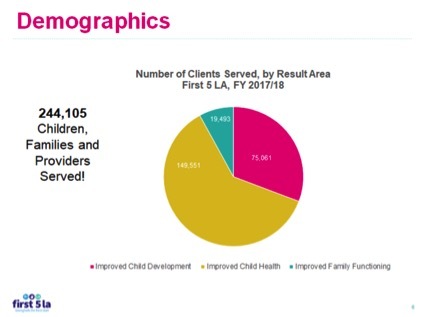 State Annual Report: Our Integration and Learning Division recently submitted First 5 LA's State Annual Report to First 5 California, touting an impressive 244,105 children, families and providers served. Check out this recent blog post by First 5 LA Evaluation and Learning Analyst Holli Kyle, who breaks down the numbers. 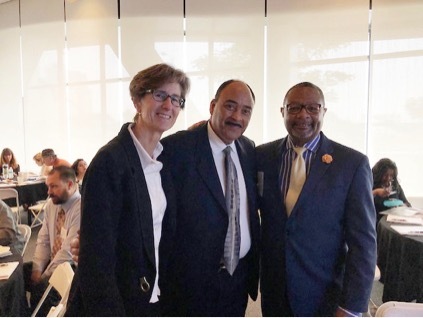 Hope and Healing: Colleagues from across the organization attended a morning discussion in October about how Los Angeles is confronting the crisis of black infant mortality. Held at the California Community Foundation Joan Palevsky Center, and co-hosted by the LA Partnership for Early Childhood Investment, the event featured an "all-star" panel of presenters, including Tyan Parker Dominguez, PhD, MPH, MSW, clinical professor and vice chair for Curriculum, Department of Children, Youth & Families at the USC Suzanne Dworak-Peck School of Social Work; Deborah Allen, deputy director, Health Promotion, L.A. County Department of Public Health; and Wenonah Valentine, executive director, iDream for Racial Health Equity. First 5 LA's Director of Family Supports Barbara Andrade DuBransky shared her thoughts about the discussion: "The event highlighted that we have an opportunity in Los Angeles County to support both community-based and healthcare providers in order to decrease stressors and improve the quality and responsiveness of healthcare provision for African-American women." 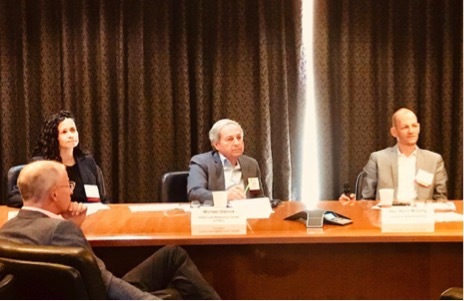 The California Legislative Black Caucus: First 5 LA's Vice President of Policy and Strategy, Kim Pattillo Brownson, joined the members of the California Legislative Black Caucus (CLBC) for their 10th Annual Policy Institute in October. 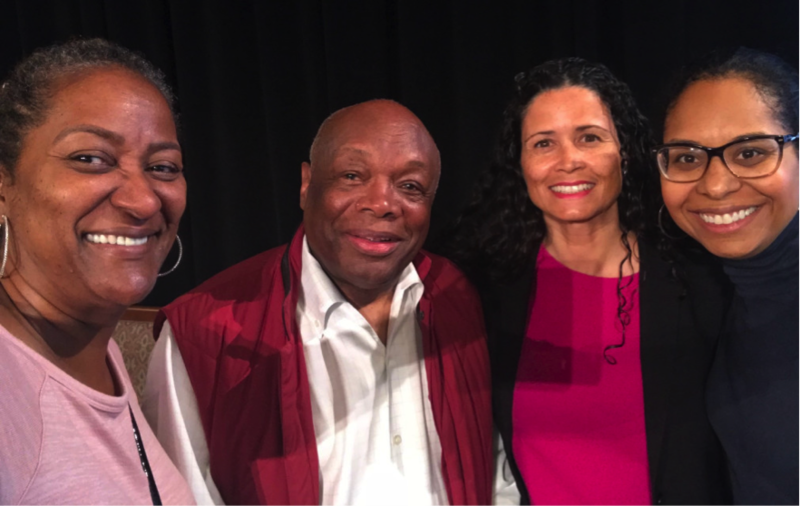 The event featured the Honorable Willie Brown, former mayor of San Francisco; political strategist Ace Smith; and political pollster Shakari Byerly. Sen. Steven Bradford, the CLBC second vice-chair, served as the dynamic moderator on the topic of Black Civic Engagement. Census 2020: In October, colleagues from the Community Relations and Strategic Partnerships departments participated in the "¡Hazme Contar! Summit: Ensuring an Accurate Count of Los Angeles’ Latino Young Children," held at Magnolia Place Family Center and hosted by the NALEO Educational Fund. A report released in April 2016 by NALEO and Child Trends Hispanic Institute revealed that 400,000 Latino children (under the age of 5) were missed in the 2010 Census. Of these children, 47,000 were in L.A. County. The summit convened educators, service providers, and community-based organizations to increase their knowledge for Census 2020, provided strategies to prepare for an accurate count of Latino children and their families, and facilitated spaces where participants dialogued and took steps to create cross-sector collaborations. Speakers included experts in the Census field, educators, parents, CBO leaders, elected officials. First 5 LA Director of Community Relations Rafael González provided opening remarks. First 5 LA was a sponsor of the event. Visiting in the 39th: Senior Government Affairs Strategist Jamie Zamora recently joined an early learning site visit at Haddon Early Education Center in Pacoima. 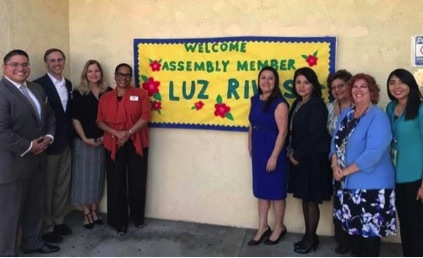 The visit, hosted by Child 360 and LAUSD, was to help Assembly member Luz Rivas, who represents the 39th District, understand the importance of early learning in her area. 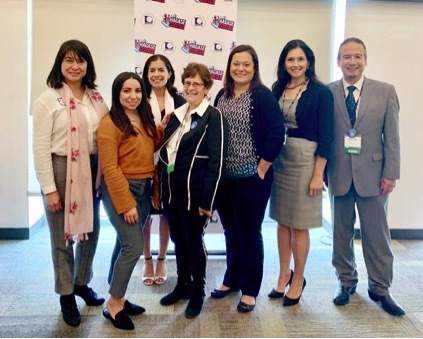 Rivas had the opportunity to meet with early childhood educators on site to learn about their teaching and care strategies, and discuss some of the obstacles they face in serving their students. Rivas represents the communities of North Hollywood, Pacoima, San Fernando, Sunland-Tujunga, Sun Valley and Sylmar. McCarty and the L.A. Chamber: First 5 LA's Vice President of Policy and Strategy Kim Pattillo Brownson, who is the co-chair of the Los Angeles Area Chamber of Commerce's Education and Workforce Development Council, served as a panelist at the Council's October meeting , which focused on ECE in legislation and in the state budget. The meeting featured presentations from Assemblymember Kevin McCarty, who is the chair of the Assembly Budget Subcommittee on Education, and Michael Olenick, the Executive Director of Child Care Resource Center, which supports thousands of families and child care providers in the San Fernando and Antelope Valley areas. Talking About Dads: First 5 LA Executive Director Kim Belshé and Commissioner Romalis Taylor joined an all-star panel of speakers at the Fatherhood Against the Odds Summit , held at Los Angeles Trade-Technical College in late September. Hosted by Friends Outside Los Angeles County and sponsored by First 5 LA, the event focused on current trends in data as well as first-hand perspectives of incarcerated and formerly incarcerated fathers and their families. A cross-section of professionals attended the event, including service providers, government and elected officials and interested community members. First 5 LA colleagues from Family Supports, Policy and Government Affairs and Health Systems departments all attended. In her opening remarks, Belshé engaged the crowd by sharing, "I encourage you today to explore, absorb and extract content and resources in your capacity as a dad, family member or expert within the policy, justice and support systems. And to keep in mind that right now, there are 2.7 million children in America with a parent in prison or jail – 92 percent of whom are fathers."